Mowing Lawns With a Heart! We want to help you discover the difference we make to our customers, and here are just a few of the things that set us apart from our competition. We offer low prices in a fun and lively environment. At Lindseys Lawn Service, we are recognized as a professional company in our industry and we have a wide variety of services. We also take pride in the value we offer, the great staff we provide, and the careful attention we pay to you, our customers. We offer a lot of personal and special services, which help make us different than our competition. We can't list them all – but here are a few of the super services we have: Lawn Mowing, Out Of Town/ Vacation Care, and Snow Removal. Accurate Tree Service & Stump Grinding has over 30 years of experience in the tree business! We provide first-class, reliable, and safe tree services in Middleton and Madison, Wisconsin – all at an affordable price. Our team is knowledgeable and skilled at dealing with any kind of tree issue one can imagine. We employ a solid and professional crew of tree experts including trained tree climbers, certified arborists, a master gardener, and a certified pesticide/herbicide applicator. We are proud to say that over 80% of our business is referrals from satisfied customers! Beautiful Lawns is a local lawn care service that provides high quality lawn mowing and landscape services to West Madison and surrounding communities. 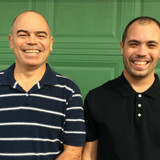 Jordan: I started mowing lawns in my neighborhood with a friend when I was 11 years old. Our business started by doing lawns on our block. The range expanded each year, walking and pushing lawn mowers up to a half mile to mow a lawn. Eventually, I was able to drive and used my parents old minivan to get around and started buying my own equipment. I now have my own truck, trailer and all of my own equipment. 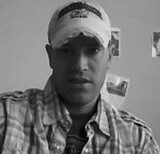 I would like to continue to grow this business that I have been working at for more than half of my life. Tom: I worked in an office for 26 years. 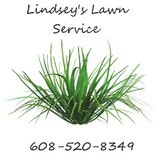 I have now decided to partner with my son Jordan and work on expanding Beautiful Lawns Lawn Care. I love working outside and being more active. I have been working behind the scenes helping Jordan throughout the years and look forward working with him full time. 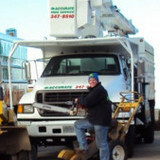 The Grounds Guys of Madison is a full-service grounds care company. Our established systems allow us to deliver industry-leading lawn care and landscape solutions to commercial and residential clients. Built on a family tradition of caring, we are driven by a passion to exceed customer expectations. Since 1998, the professionals at Bassett, Inc., have offered not only exceptional Arborist Services, but a full compliment of Lawn & Landscapeworks. 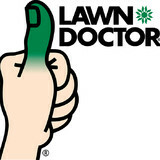 Our mission is to improve and maintain the health, growth and appearance of EVERY aspect of your landscape. We strive to provide professional service with exceptional results, a pride of workmanship with creative vision, and educated problem solving with the latest in environmentally conscious solutions. J & B Lawn Service in Madison, WI is a privately held company that was established in 1995 and incorporated in Wisconsin. For many years we have offered a variety of services such as snow removal, lawn care, snow plowing, landscaping, mulch, aerating, fall clean up, gutter cleaning, hedge work, land Clearing & Removals and more. Need your snow removed, or gutters cleaned, call on J & B Lawn Service in Madison, WI. At Badgerland Irrigation we provide exceptional customer service, employ only those who share our values, use only the best products available and engage in the best industry practices to meet each of our customers specific needs. We are the premiere irrigation and lighting service providers. From start to finish the Badgerland Family will help you create and maintain fairway worthy lawns and oasis like landscapes. A well designed and properly maintained irrigation system is an important step in having the lawn and landscape you have always desired. In addition to keeping your landscape looking good, an irrigation system will also provide you with more time to do the things you enjoy. No more dragging around hoses or trying to figure out the proper schedule for an existing system. Want to save on your water usage and lower your monthly bills? Badgerland will recommend water saving products and proper watering schedules for your specific site conditions. Landscape lighting is a wonderful way to showcase your beautiful home. Extend your outdoor living space for entertaining, add security to those dark spots around your home or just highlight your landscape and enjoy a beauty only light can provide. Our lighting designers will work with you to create a masterpiece. Stoughton Garden Center is pleased to offer a full range of materials needed to create a beautiful outdoor living space. Everything from the pavers for your ground cover to patio furniture, grills and fire pits for those cool evenings. We also install all of our products on your behalf. Please feel free to contact us today for more information! Come to Pleasant Prairie Greenhouse for an extensive selection of affordably-priced annuals, perennials, trees & shurbs, landscape supplies, and plant pointers. We offer a wide varierty of plants and flowers to create a beautiful garden. You have dreams for your outdoor space. If you can imagine it, Urban Landscaping, LLC, part of Pleasant Prairie Greenhouse, can create it. Complete landscaping, from plants to bricks, retaining walls and walkways, that will add beauty to your home. Since 2006, Pleasant Prairie Greenhouse has been using PV solar panels to supply a percentage of our electricity and solar water heaters to heat our greenhouse. While producing plants that enhance people’s aesthetics and environment, it seems only natural to use green energy. Do you get yard envy when you see your Fitchburg neighbors’ lush garden, and bemoan your lack of a green thumb? If you want a bountiful yard without doing a bounty of yard work, hire a gardener in Fitchburg, WI! From lawn maintenance to plant cultivation to weeding to general landscaping, Fitchburg, WI gardeners have the expertise and experience to create an abundant garden for you that will be the cause of neighborhood yard envy! In addition to the maintenance side of gardening, Fitchburg, WI gardeners can help you with garden design and choosing specific plants and grass types for your climate and area. Find a Fitchburg, WI gardener on Houzz. Narrow your search in the Professionals section of the website to Fitchburg, WI gardeners. You can also look through Fitchburg, WI photos to find examples of yards that you like, then contact the Wisconsin contractor who worked on them.